Although the headline is influenced by this election year, the topic is completely inspired by Kipp Bodnar’s (@kippbodnar) presentation at the recent #INBOUND12 Conference. And just like with politicians, we love the visionaries, but sometimes we just need the cold, hard facts. It’s easy to talk about what you should be doing to get found (see Inbound Marketing, Meeting Inbound PR) and ultimately increase conversion, but it’s quite another to have proof. According to Bodnar, “73% of CEOs don’t believe Marketers drive bottom line results.” Why? My guess: no proof. Take customer testimonials. Do you really believe them? Like me, you likely skip right over them and hunt the web for real reviews. 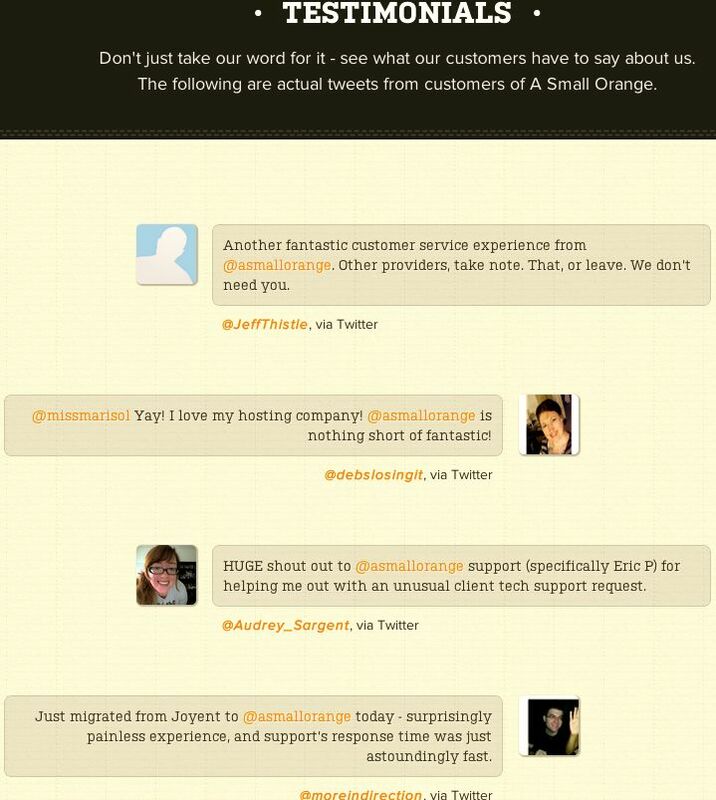 As Bodnar pointed out, check out how A Small Orange is reinventing customer testimonials. They simply favorite tweets on Twitter, in which their own customers publicly praise their work, and embed the tweets directly on their site. Real, live, credible testimonials. Anyone can go see who these people are and if they should trust them. This is a basic example of “social proof,” but let’s take this one step further, a step toward ROI — something we can MEASURE. Bodnar says, let’s embed these tweet testimonials under a call-to-action (CTA). Now, imagine a brief tweet testimonial under this CTA (much like the tweet below this post). After testing it, Bodnar saw a 27% increase in click-through rate on a particular CTA on the blog. Now this is measurable, social proof. When testing this idea and embedding a tweet testimonial on a landing page, he received a 5% boost in conversion rate. When testing it in an email, he received a 7% boost in click-through rate. A big thanks to Kipp for a very useful and thought-provoking discussion! Hope I did it justice. To learn more, here’s his actual presentation deck and video: Social Conversion. While social proof has effectively been used in marketing for ages, the Internet has definitely forced it to evolve. It’s awe inspiring to see the rapid ascent of social media. Humanity is linked together in a way than never before, which is a godsend for all entrepreneurs. I’ll never forget how excited I was the first time a simple tweet I sent out landed me a client from South Africa!